There was a great deal of excitement last week as intriguing findings published in Nature yield clues into the mystery of autism. 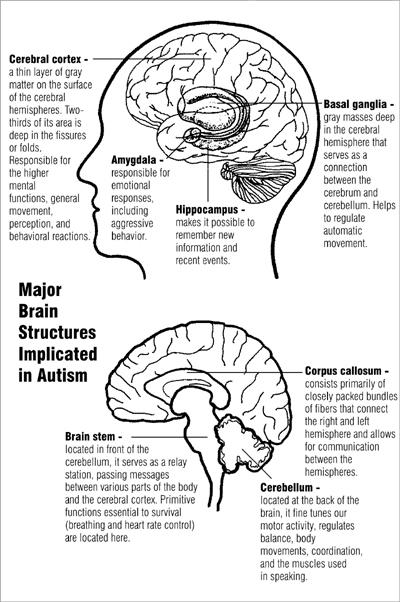 Autism, or more correctly put Autism Spectrum Disorders (ASD) are defects in neural development that manifest themselves early in childhood as affected children have difficulties in socialization and language skills. Like any childhood disease autism is unimaginably frustrating for the millions of parents and relatives that have to find the best way to cope with a child who will have unexpected needs. Even more frustrating perhaps is the unanswered questions surrounding the cause of the disease and the search for possible treatments or cures. It has long been known that genetics play an important role in autism; early twin studies indicated that the concordance for monozygotic twins was between 70-80% (Abrahams and Geschwind 2008, Nat Rev Genet. 2008 May; 9(5): 341–355). What is clear from this recent paper (Neal et.al. Patterns and rates of exonic de novo mutations in autism spectrum disorders, Nature, advance online publication, http://dx.doi.org/10.1038/nature11011) is that ASD is highly polygenic in origin, i.e. hundreds of genes influence autism risk. Getting to this answer, including two genes in particular that were determined to be very strongly linked with autism (CHD8 and KATNAL2), was a real technical achievement in that in involved analyzing the genomes of 175 trios (mother, father, autistic child). Sequencing 525 human genomes is something that would have been unimaginable just a few years ago. While it is clear that we still have much to understand about this complicated disease, the technological limitations that previously limited progress are beginning to fall away. Hopefully many more important clues are just around the corner. Print article This entry was posted by Jason Williams on April 10, 2012 at 4:20 pm, and is filed under G2C Online. Follow any responses to this post through RSS 2.0. You can leave a response or trackback from your own site.